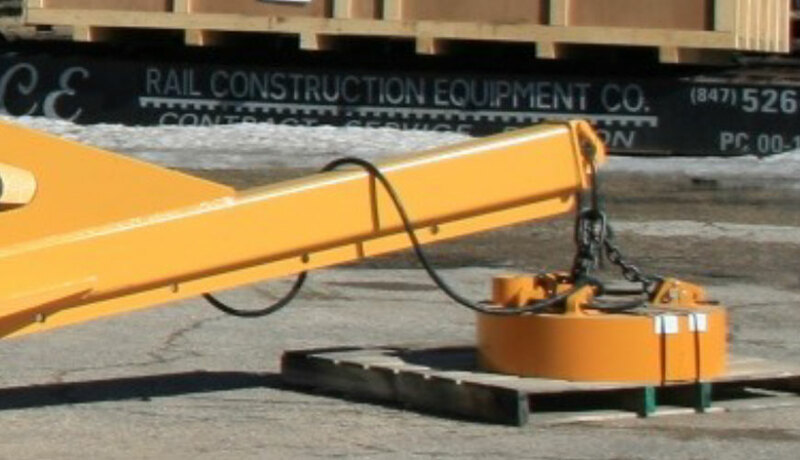 RCE introduces its latest version of its swing crane: the Series 5 Swing Loader. 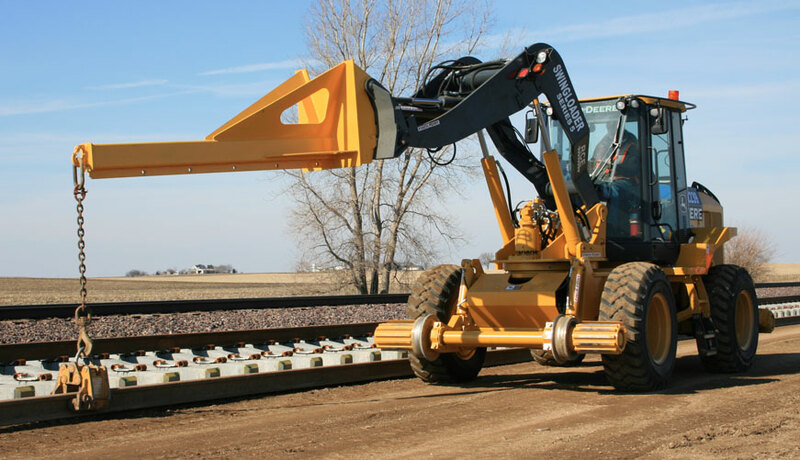 Using a Deere 544 size wheel loader rear section and a custom front chassis that has been modified to work on the rail, this Series 5 has all the power required to handle your railroad maintenance needs. 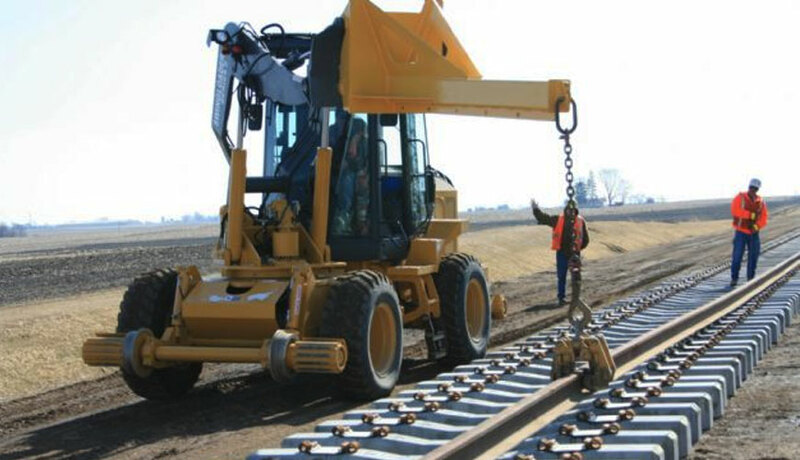 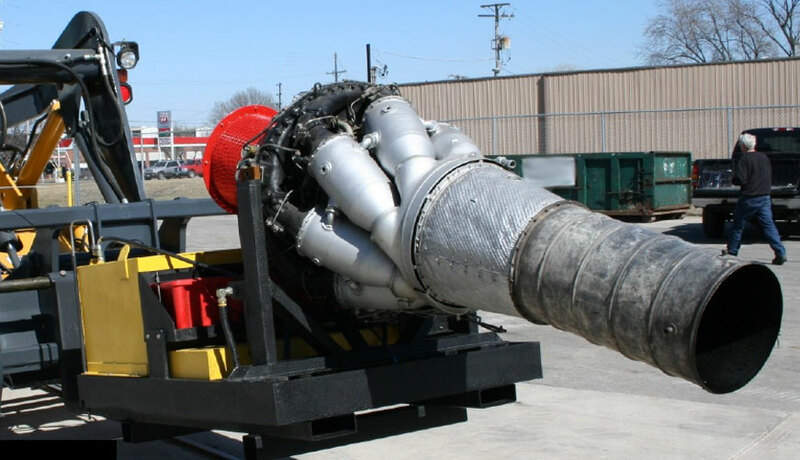 The standard loader boom and housing has been replaced with a 200 degree turntable that allows the operator to accomplish swing crane functions. 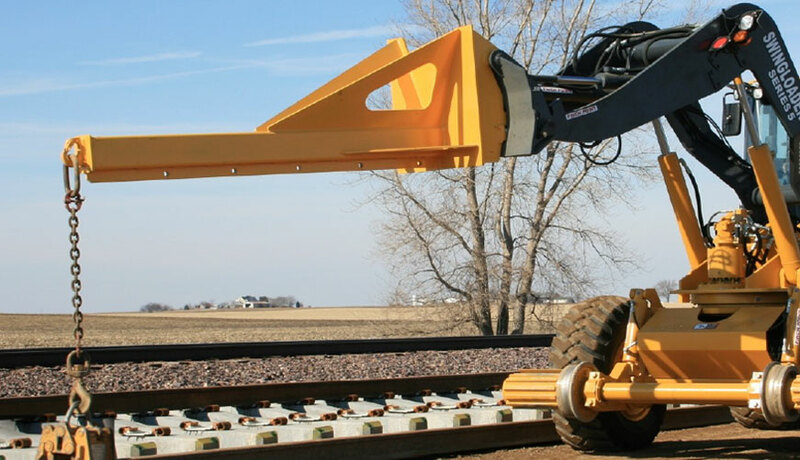 The main boom assembly retains it structural integrity allowing the Series 5 to accomplish wheel loader functions with 14,500 lbs of lift capacity.